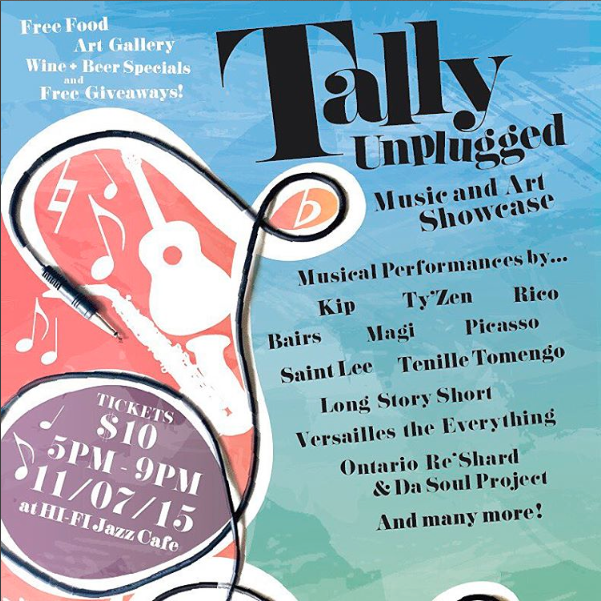 Tally Unplugged is an artist showcase providing local artists the opportunity to showcase, perform and market their talents.Tickets are $10 in advance, $15 at the door. Free Food + Wine & Beer Specials + Live Performances + Dope Art. Don’t forget Free Giveaways!